The House Appropriations Committee initially made huge cuts in the stand up budget for AFRICOM. But much of that money has been restored. The original request was for $389 million. That was cut down to $80 million in committee. But it is back up to $266 million. This is only a $123 million cut instead of a $309 million cut. $266 million gives AFRICOM a lot more to work with. … the budget request was designed to support “well over 100” programs that the command inherited from EUCOM, the U.S. Pacific Command and various other entities that have been operating in Africa during the past several decades.Those programs include operating a joint task force in Djibouti; an effort with the State Department and Northern African nations to target regional terrorism; helping to form modern coast guards to take on pirates, trafficking and illegal fishing; training peacekeepers and educating and training militaries in several countries; and building military partnerships throughout the continent. AFRICOM is set to become fully operational Oct. 1. The Air Force designated the 17th Air Force as its AFRICOM component earlier this month and the other services are expected to announce their contributions shortly. There are possible positive things the US military can do in Africa, they are spelled out in the report from Refugees International U.S. Civil Military Imbalance for Global Engagement (link fixed). The overwhelming dangers of the current militarization of of US foreign policy are spelled out in detail as well. Top to bottom, the Pentagon’s war machine is no longer just driven by, but staffed by, corporations. … corruption, incompetence, and callous indifference become ever more ingrained in the military way of life. 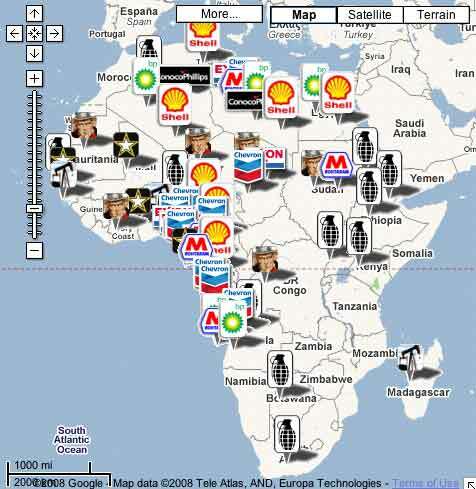 The map above, from this article, AFRI(OIL)COM, shows US military involvement, and oil corporation involvement, throughout the countries of Africa. Click here for the interactive version of this map. Oil is the primary reason for AFRICOM, going back to the initial proposal for an Africa Command from the Heritage Foundation: US Military Assistance for Africa: A Bettter Solution. With its vast natural and mineral resources, Africa remains strategically important to the West, as it has been for hundreds of years, and its geostrategic significance is likely to rise in the 21st century. According to the National Intelligence Council (NIC), the United States is likely to draw 25 percent of its oil from West Africa by 2015, surpassing the volume imported from the Persian Gulf. In matters of transnational threats and economic issues like energy (specifically oil) and trade, not to mention the significant Islamic populations in Africa, there are good reasons to view Africa and the Middle East as an appropriate grouping for U.S. security interests. They speak at length about terrorism as well, to ramp up the fear, but oil is the target. The article concludes by recommending that the US establish an Africa command. This is the new and latest scramble for Africa, now manifested in AFRICOM. This command and this policy need to be watched very carefully. There is enormous danger here. And more money in the AFRICOM budget means more danger for Africans. In light of recent events and in view of my readings on AFRICOM and PMCs I realized that what Bush is doing with the military is the same thing he and the Republicans have done to the banks, deregulate them and put them beyond the reach of US or any other law. Consider the following: In fiscal year 2005 (the last year for which full data is available), the Pentagon spent more contracting for services with private companies than on supplies and equipment — including major weapons systems. This figure has been steadily rising over the past 10 years. According to a recent Government Accountability Office report, in the last decade the amount the Pentagon has paid out to private companies for services has increased by 78% in real terms. In fiscal year 2006, those services contracts totaled more than $151 billion. Ever more frequently, we hear generals and politicians alike bemoan the state of the military. Their conclusion: The wear and tear of the President’s Global War on Terror has pushed the military to the breaking point. But private contractors are playing a different tune. Think of it this way: While the military cannot stay properly supplied, its suppliers are racking up contracts in the multi-billions. For them, it’s a matter of letting the good times roll. These have been the good times for defense contractors, if not for the military itself. Since September 2001, many companies have made a quantum leap from receiving either no Pentagon contracts or just contracts in the low hundred millions to awards in the billion-dollar range. Fighting wars for hire has become an essential part of the Pentagon’s MO since 2001, and the Blackwater employee gunning through Baghdad in a Kevlar vest, a kafiyah, and wrap-around shades is the ultimate symbol of the new moment. The Government Accountability Office (GAO) looked at 21 different Pentagon offices and found that private contractors outnumbered Department of Defense employees in more than half of them. In the engineering department of the Missile Defense Agency, for example, employees from private contractors made up more than 80% of the work force. The GAO found that contractors were responsible for carrying out a wide range of tasks and were not subject to federal laws and regulations designed to prevent conflicts of interest — including the rules that concern personnel who want to take positions with companies they had awarded contracts to as federal employees. Once private companies take on military and war-making tasks, where does the buck stop? It is not uncommon, for example, for a company hired to perform a service for the Pentagon to subcontract part of the job to another company, which may then subcontract part of its task to a third. Who, then, is in charge? When something goes wrong, who is culpable? And if the U.S. military machine is now both oversized and staggeringly expensive, it is also more prone to breakdown in a more dangerous and unstable world. So think of George W. Bush’s legacy to us as a Pentagon bloated almost beyond recognition and crippled by its dependence on private military corporations. This is why the PMCs and their lobbying association, the IPOA, are targeting AFRICOM. As in three times the whole US gross domestic product … The unregulated and poorly reported credit default swaps may have actually passed $70 trillion last year, or about $5 trillion more than the GDP of the entire world. Treasury Secretary Paulson is asking for $700 billion from the US taxpayer to try and cover the losses, without any review. 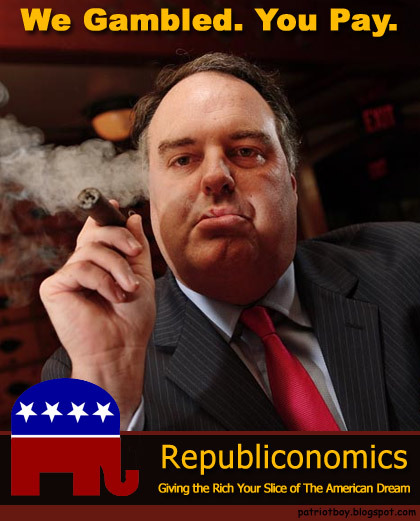 Paulson also wants to lift the US national debt ceiling to $11,315,000,000,000.00. (When Bush took office, the U.S. federal debt was some $5.6 trillion and on a downtrend.) The U.S. GDP is roughly 13.5 trillion so the US government debt at that ceiling will be some 83% of US GDP. In international ranking that puts the U.S. debt to GDP ratio somewhere between Cote d’Ivoire and Sri Lanka. Now Paulson wants $700 billion in emergency finance from where? Who in this world can and will lend $700 billion for an emergency plan when the total lending to the U.S. in one year is only about $500 billion? Did Paulson talk with China, Russia and the Saudis about this? With this new debt and debt to GDP ratio the U.S. does no longer deserve an AAA rating. That will have to be cut down two or three notches. No one has any idea of the magnitude of the deleveraging ahead or the size of the debts that will have to be written down. That’s because 30 years of deregulation has allowed a parallel financial system to arise in which over $500 trillion dollars in derivatives are traded without any government supervision or accounting. These counterparty transactions are interwoven throughout the entire “regulated” system in a way that poses a clear and present danger to the broader economy. … deregulation in a nutshell; a system that allows Wall Street banksters to create credit out of thin air and then run weeping to Congress when their swindles backfire. … The debts are enormous and the pain will be substantial, but the problem cannot be resolved by crushing the middle class or destroying the currency. We cannot underwrite continued irresponsibility, where CEOs cash in and our regulators look the other way. We cannot abet and reward the unconscionable practices that triggered this crisis. We have to end them. • Taxpayers should be protected. • Build a regulatory structure for the 21st Century. In the US as in Ghana: country broke or no broke, we all dey inside. It is important to remember it is we, and policies need to be for the benefit of all of we, not the borrow and borrow and spend and spend policies that make the rich richer and all the rest of we poorer. … through a year-old pilot program, Zambia is replacing paper-based health surveys with those used on PDAs (personal digital assistants). This means no data entry, no cumbersome clipboards, and most importantly no waiting weeks or months for data entry clerks to enter stacks of paper into a computer for analysis. Zambia today is helping to lead a public health revolution that has the potential to improve the lives of millions of people in the developing world. 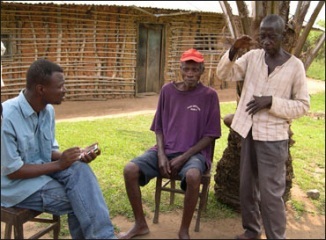 By switching from paper-based to mobile-enabled digital health systems, Zambian health workers are empowered with new ‘eyes and ears’ in the field-devices that increase the speed and accuracy with which vital health information can be collected and recorded. These PDAs, sometimes more powerful than laptops of the recent past, quickly are becoming a vital public health management tool. EpiSurveyor operates using a Java-based engine and a Windows-based Designer application that allows fast and easy creation of forms and data systems. It allows anyone with average computer skills–the ability to use a word processor or email, for example–to create and share mobile data collection systems in minutes, and without the need for consultant programmers. In keeping with its mission to break down the barriers that block access to health data in developing countries, EpiSurveyor is free–anyone with internet access can download the program. EpiSurveyor is also open source, enabling those with higher-level programming skills to manipulate the program to respond to health needs as they arise. Finally, EpiSurveyor is built to run on mobile devices, providing maximum mobility and ease-of-use for health workers who spend most of their time in the field. Pilot project training is conducted using the Palm Zire. So far, year-old pilot projects in Zambia and Kenya are showing that data received from the field has streamlined the inoculation of children against measles, collected information on HIV, and has even helped to contain a polio outbreak. This sounds like a powerful, cheap and practical way to manage a lot of public health information functions. It looks well worth further exploration. You can read the entire article here. The World Bank has withdrawn from a $4bn pipeline project in Chad, once billed as a model for transparent management of oil wealth in Africa, after years of increasingly acrimonious disputes with the government. World Bank support for the project, which includes a 1,070km pipeline through neighbouring Cameroon, played a crucial role in persuading a consortium of ExxonMobil, ChevronTexaco and Petronas of Malaysia to go ahead with one of the largest capital investments in Africa. Chad now pumps about 170,000 b/d from its southern oilfields, which have also attracted interest from Chinese companies. The World Bank helped finance the government’s participation in the scheme on condition it invested in sectors such as public works, education, health and agriculture, channelling oil money through an escrow account at Citibank in London. Additional coverage from the BBC. 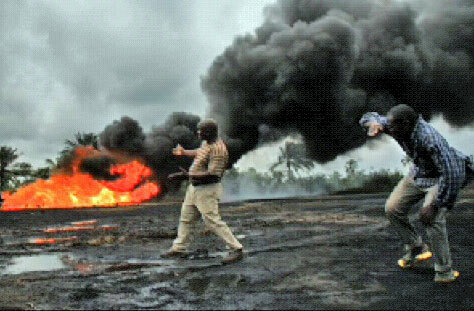 Slate featured an 8 minute video using the photos of Ed Kashi and the voices of people from the Niger Delta, Curse of the Black Gold, based on Kashi’s book of the same name, Curse of the Black Gold. The film says Nigeria has the second largest oil reserves after Saudi Arabia. The US is expecting to get about 25% of its oil from Africa, chiefly Nigeria. If MEND is shutting down production, what will the US do? Will it try to negotiate a fairer distribution of wealth, and help create policies that protect the environment as part of the extraction of oil? Or will it attempt to crush any local opposition to corporate greed and environmental devastation by military means? And whether the US uses its own soldiers, Nigerian proxies, or mercenaries, will it invade another country, this time in the Niger Delta, and devastate the population for oil? With AFRICOM, a combatant command, leading US foreign policy in Africa as has been described in this report, U.S. Civil Military Imbalance for Global Engagement, the answer seems fairly clear. 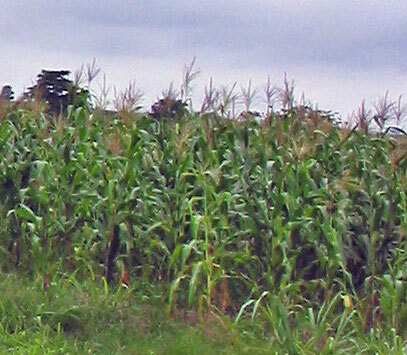 AFRICOM planners and the mercenary corporations are focused on the Niger Delta. Many people think there is still time to negotiate and avoid full scale confrontation. It would certainly be to US advantage in terms of its relationship with Africa and the world, and in terms of long term interests, both US and African, to take the dialogue approach. Under the present US administration, that does not seem to be on the table. His words are certainly holding true in the Niger Delta. I remember the optimism oil brought in the 1970s. And we can see the devastation it has brought instead in Kashi’s pictures featured in the video. Added Sept 9: When I wrote above about invasion of the Niger Delta, I doubt the US has any desire to involve US soldiers in war fighting in the Niger Delta. Although they are training for that possibility, riverine warfare, counter insurgency, African languages etc. I think the US would prefer to use training and military assistance to get the Nigerian military to act as proxies for US corporate interests. In this way the Niger Delta can continue unchanged as a colony of the oil companies with the assistance of the Nigerian government. The US will also employ the PMCs, mercenary corporations, or may encourage the Nigerian government to employ these corporate soldiers. What we don’t see is any effort to strengthen Nigerian democracy and civilian institutions. The Pentagon is leading foreign policy. 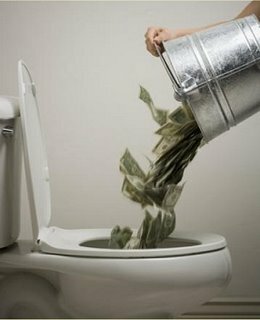 That is where the US is putting the majority of its foreign policy dollars. That concentration of money and effort in the Pentagon is what is meant by the militarization of foreign policy. The denials the US is militarizing foreign policy ignore how the money is being spent.